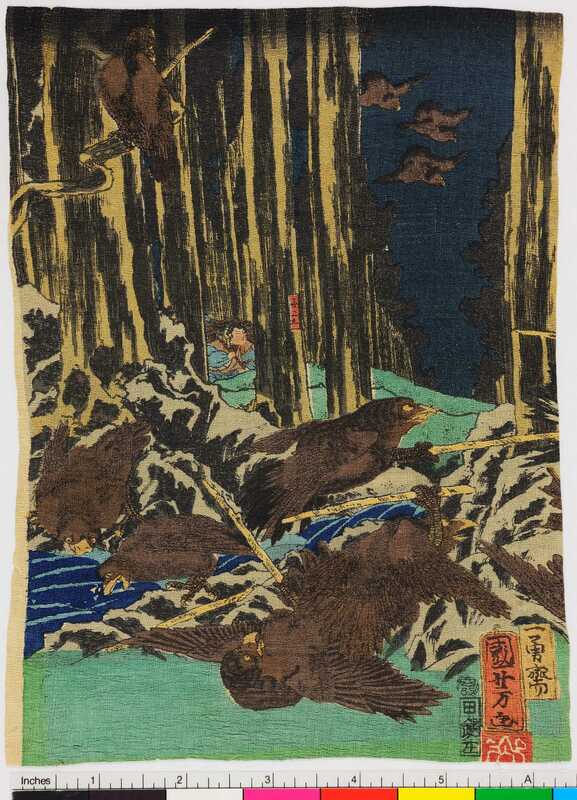 Kuniyoshi seems to have been drawn to this scene. 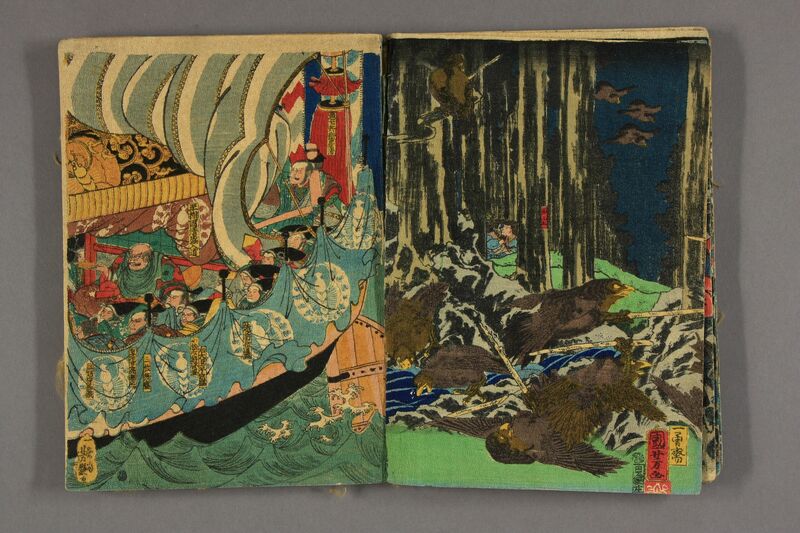 He produced a number of triptychs, diptychs and individual prints centered on it. 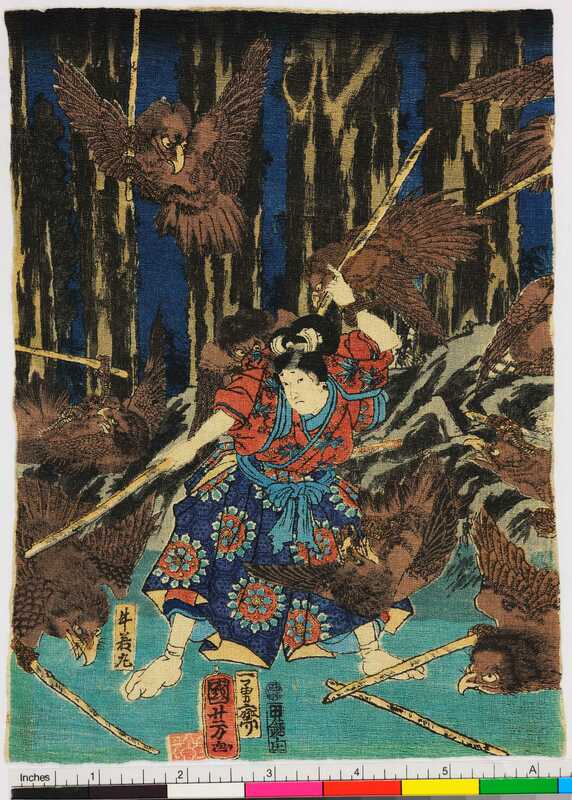 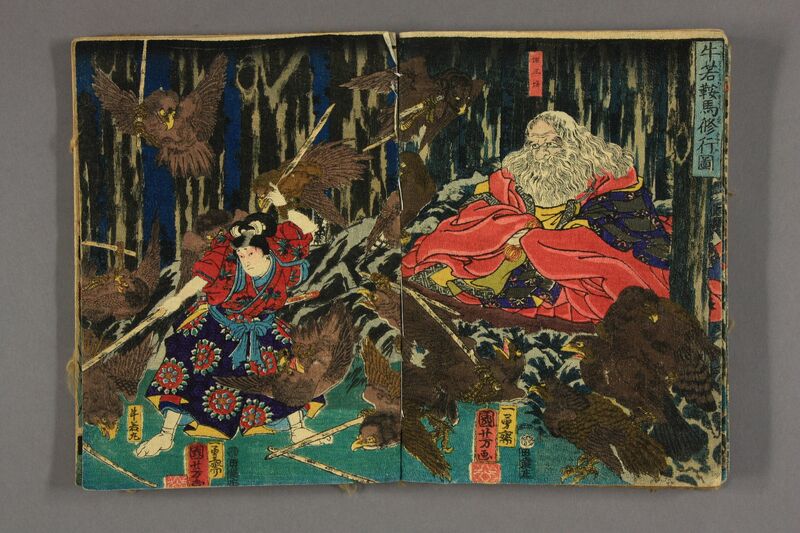 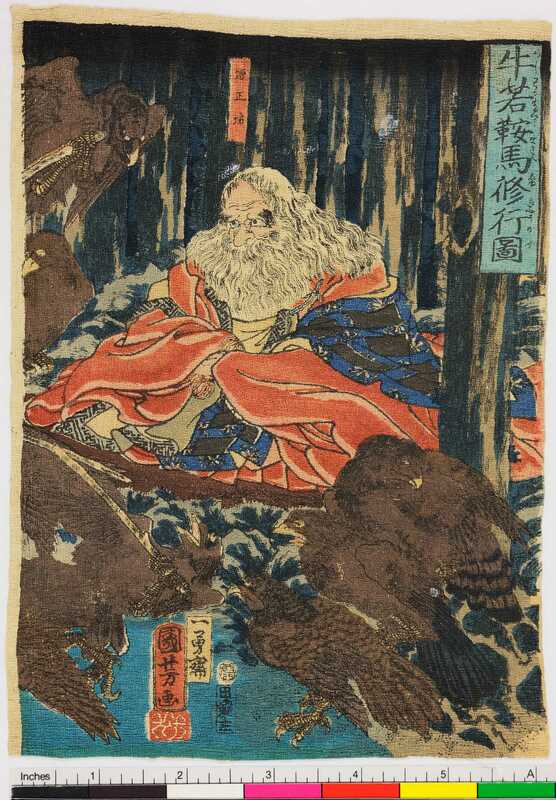 Here is a description by Hatje Cantz of a different example, but which describes this perfectly: "In the forests to the northeast of the capital of Kyōto, the abbot king Tengu Sōjōbō from Mount Kuruma and is bird-like warriors give Ushiwakamaru fencing lessons for the upcoming large-scale act of revenge against the Taira."